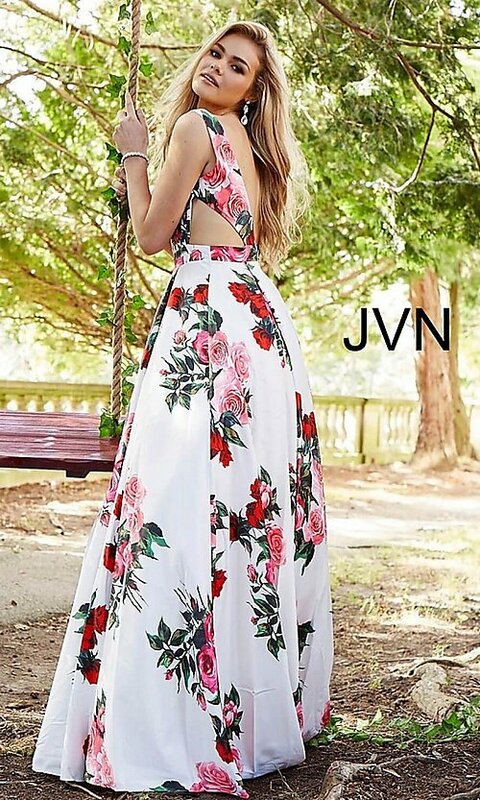 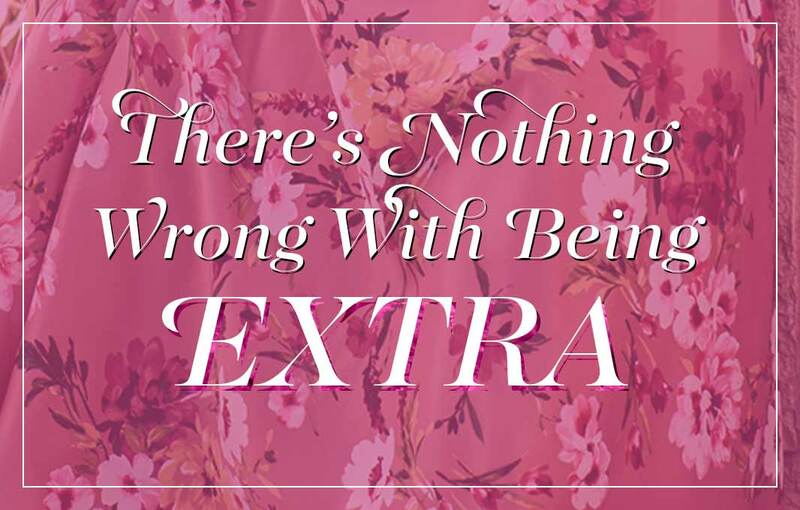 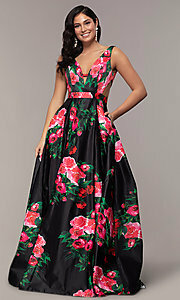 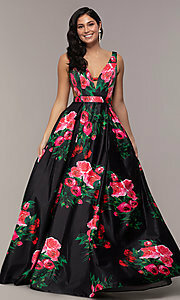 Be bold in a long white a-line prom dress with a bright floral print from JVN by Jovani. This statement-making evening gown is a shocking take on formal wear with an undeniably-sharp design. 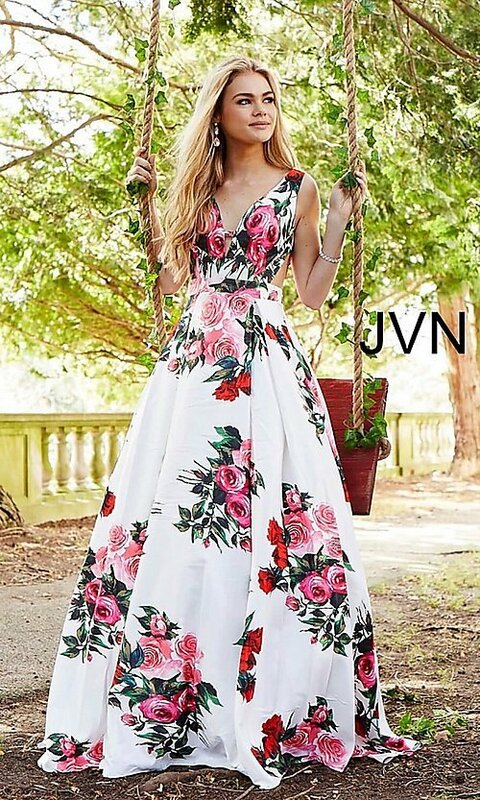 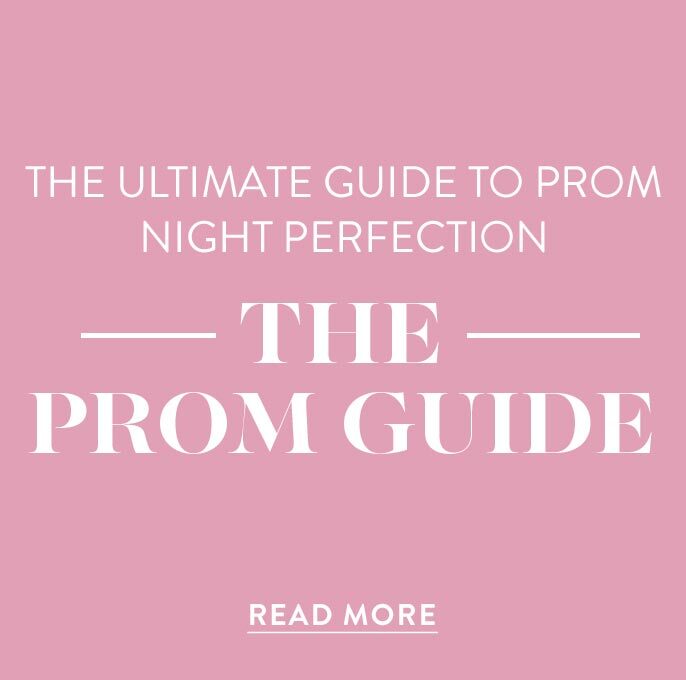 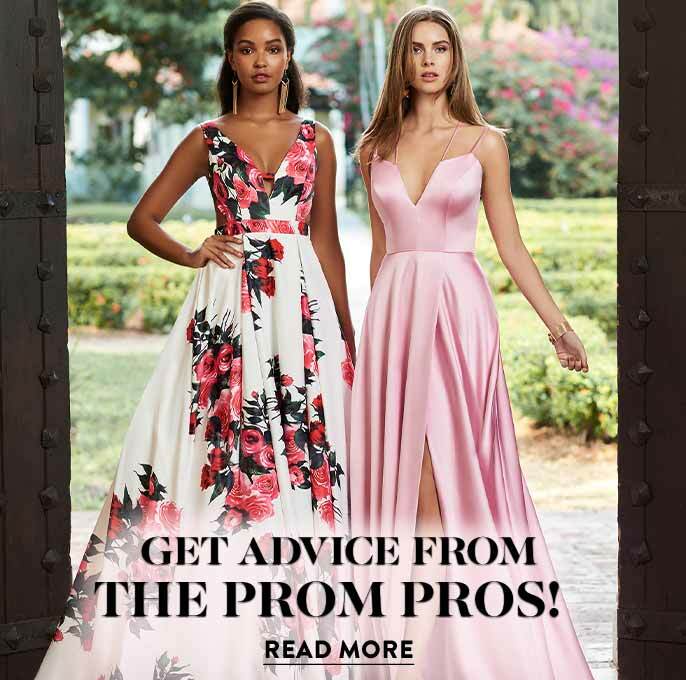 Just as eye-catching as the gorgeous hues of red, blue, and pink that span the fabric, side cut outs make the long prom dress slightly edgier. 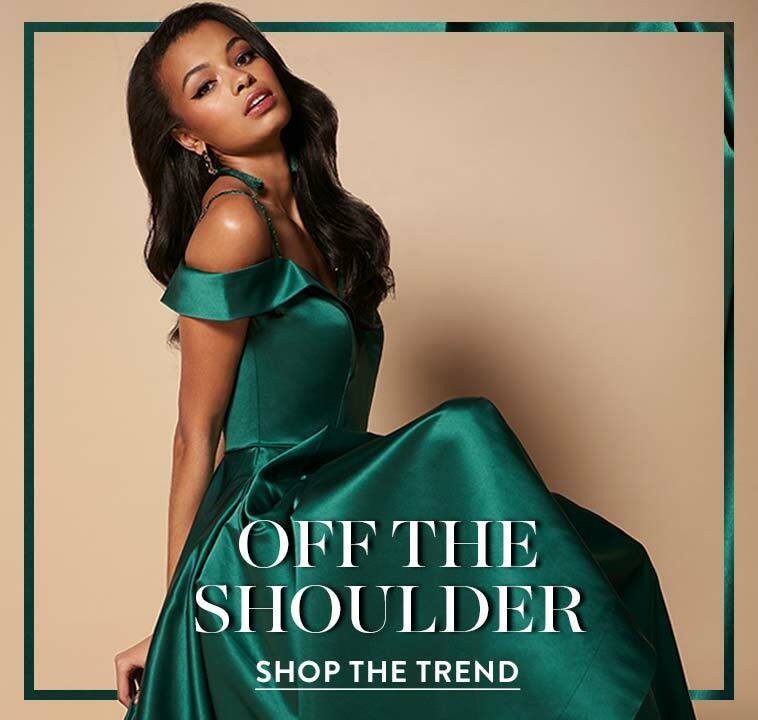 Visually lengthening and slenderizing the body, a flirty deep v-neckline graces this sleeveless prom dress, while a thin horizontal strap adds a distinctive quality to the bodice. Mirroring this tasteful element, an open back is revealed as a v-shaped cut lines the other side and ends at the natural waist. 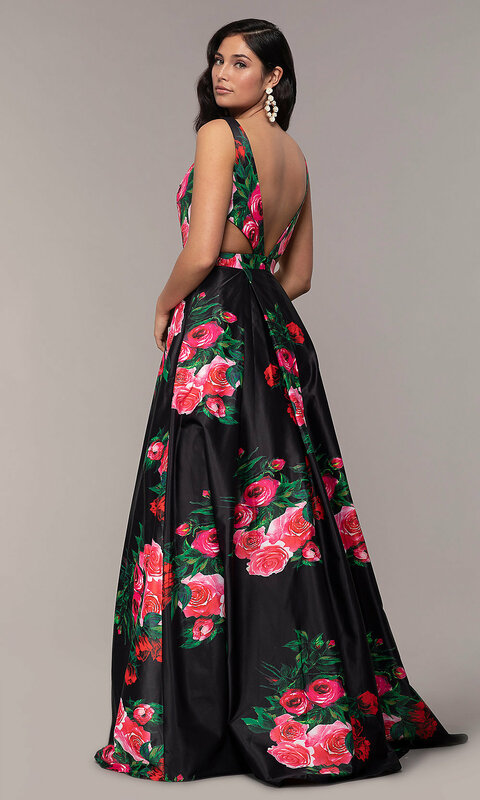 The a-line prom dress gently hugs the mid-line with a band highlighting the figure before the full skirt cascades to the floor.